Separate entity forms for create and update. Well things like this are really easy for anybody who are hands on in the portal development. However they take some time to spin up. And specially when you have some entities to set-up in one go. Well no more worries. 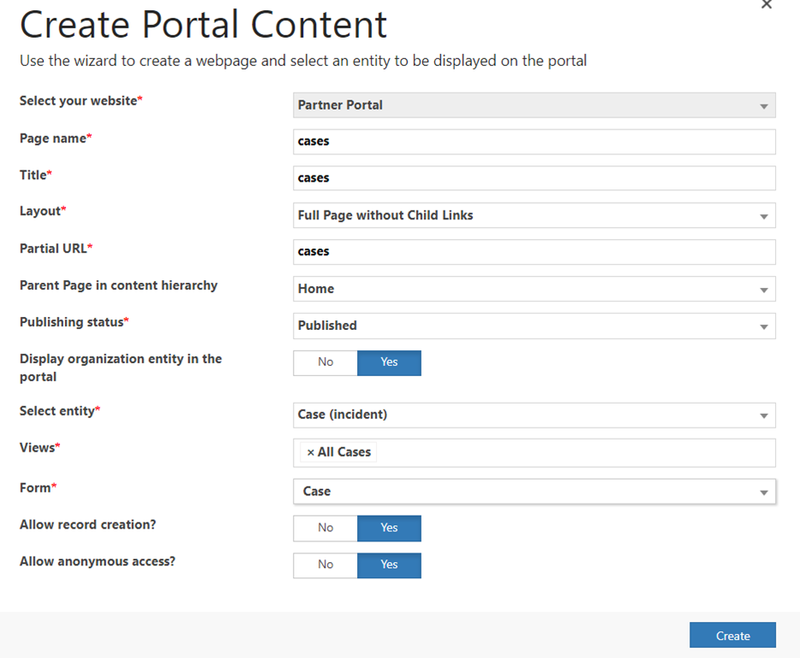 The new version of portals comes with the Portal Management editor that helps you do all these within minutes. 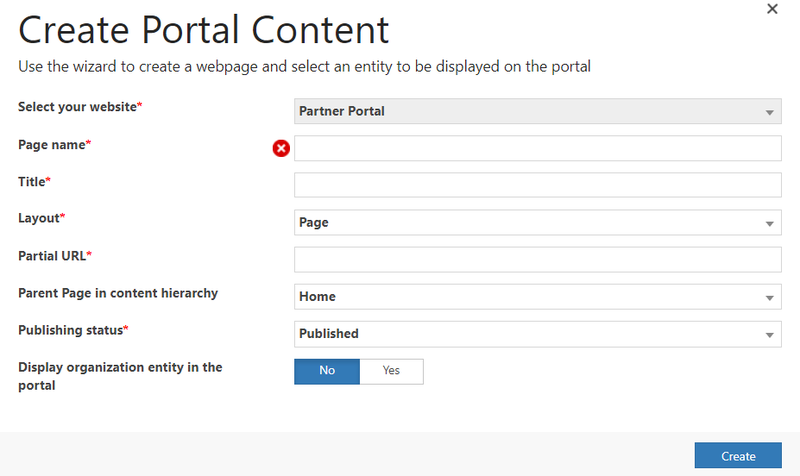 Next click on “Create Portal Content”. Page like the one below would pop-up initially. Make the “Display organization entity in the portal” to Yes. The rest is very simple. You get to select as many views as you want just like you get when you configure an entity list. In the below screenshot i have put “Allow Record Creation” to Yes as well. That’s all. Now all we need to do is expose the “cases” page in the navigation.And then you see something like this. As you can see, the Create button is there and the Case title is clickable so that it redirects you to the case detail form. Previous Post Getting Form Context from Sub-grid ribbon button in Dynamics V9.0 Gotchas!